Moscow, March 15, Interfax - Patriarch Kirill of Moscow and All Russia prays for all victims of the October revolution commemorating Nicholas II abdication. 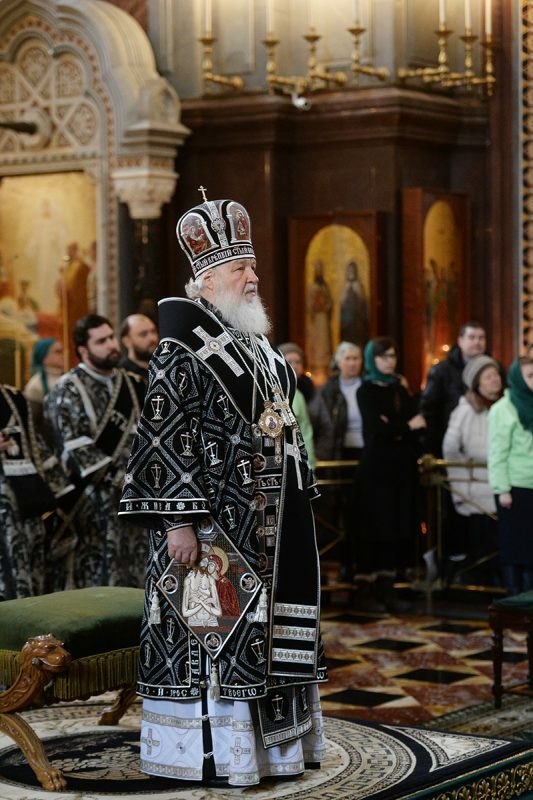 On Wednesday morning, the primate of the Russian Orthodox Church celebrated a liturgy at the Church of the Icon of Our Lady of Kazan in Kolomenskoye where the Derzhavnaya Icon of the Mother of God was found hundred years ago on the day of the emperor’s abdication and has become one of the chief shrines in modern Russia. “The patriarch read a special prayer referring to the 100th anniversary of the revolution and said special words “for the repose of all who died in the internal war,” the patriarch’s press secretary Priest Alexander Volkov told Interfax-Religion. The patriarchal liturgy has become the first event dedicated to the 100th anniversary of the epoch when persecutions against the Church started.